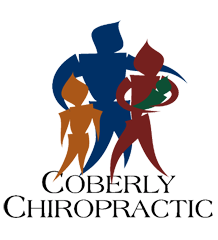 Medical vs. Holistic – Coberly Chiropractic, Inc.
Holistic care seeks to turn on the natural healing ability–not by adding something to the system–but by removing anything that might interfere with normal function, trusting that the body would know what to do if nothing were interfering with it. Standard medical care, on the other hand, seeks to treat a symptom by adding something from the outside – a medication, a surgery or procedure. For example, if a patient has high blood pressure, a standard medical approach is using a drug that lowers blood pressure. This may serve to lower the blood pressure but ignores the underlying cause that is actually making the blood pressure high and runs the risk of side effects complicating the person’s recovery. Whether it’s a nutritional issue, faulty control by the nerve system, or a manifestation of stress, the medication could decrease the blood pressure, leaving the problem causing the symptom of high blood pressure unaddressed. Wellness is a state of optimal conditions for normal function…and then some. The wellness approach is to look for underlying causes of any disturbance or disruption (which may or may not be causing symptoms at the time) and make whatever interventions and lifestyle adjustments would optimize the conditions for normal function. That environment encourages natural healing, and minimizes the need for invasive treatment, which should be administered only when absolutely necessary. When the body is working properly, it tends to heal effectively, no matter what the condition. When the body heals well and maintains itself well, then there is another level of health that goes beyond “asymptomatic” or “pain-free” which reveals an open-ended opportunity for vitality, vibrant health, and an enhanced experience of life.This is true for mental and emotional health as well as physical health. While some people may suffer psychological disorders, creating an atmosphere of mental and emotional wellness will address all but the most serious problems.